Remember to use the color coded bands to determine where to shorten the post. Don’t cut post until after it is cemented and core is complete. Use lots of irrigation while using drills to create post space. Create some grooves for retention. Microetch or sandblast the posts prior to insertion. 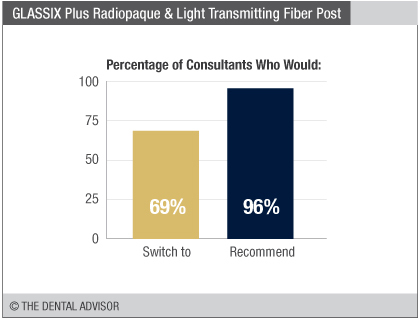 GLASSIX Plus Radiopaque & Light Transmitting Fiber Post was evaluated by 26 consultants, with an average of 8 uses per consultant. Good tapered design and cross design for better core retention. Easy color-coding system to match post drill and post. Very efficient, organized system that works really well. Good adaptation after post prep. Posts and post drills are easy to use and do not remove excess tooth structure. Good radiopacity and degree of taper. 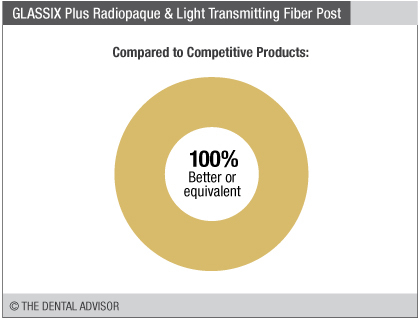 GLASSIX Plus Radiopaque & Light Transmitting Fiber Post is designed with anatomically-shaped, esthetic posts that are available in four sizes. The posts offer a high flexural strength, reported at 1500 MPa, and conduct light for utilization of dual-cured resin cements. The posts are accompanied by adjustable color-coded rings that are used for post size and demarcation. 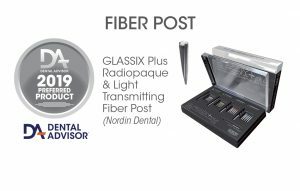 GLASSIX Plus Radiopaque & Light Transmitting Fiber Post comes with a pilot reamer, 5 posts for each of the 4 sizes, and 1 matching sized drill for each size of post. 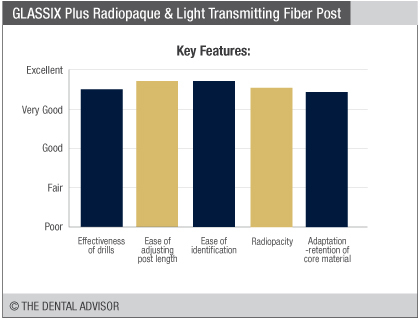 The GLASSIX Plus Radiopaque & Light Transmitting Fiber Post features twisted grooves for mechanical retention without breaking points. 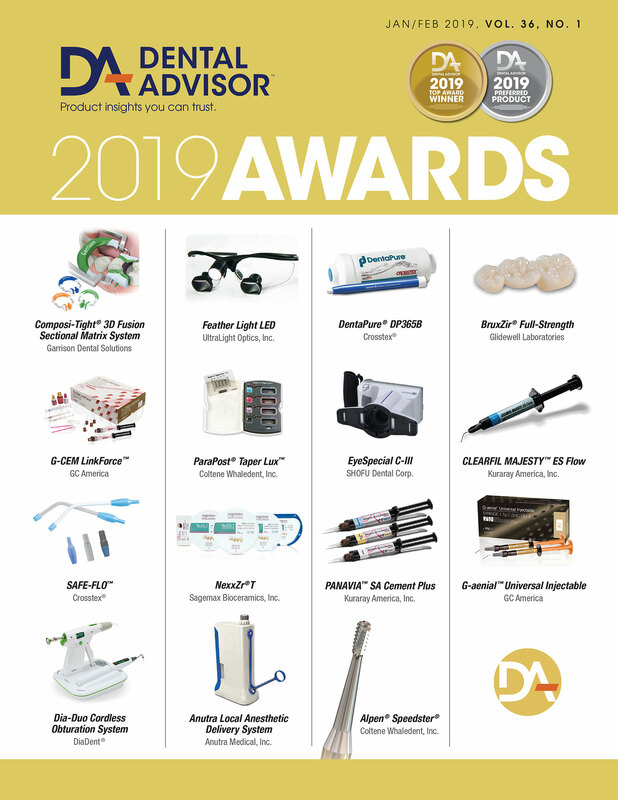 The posts reportedly have an elastic modulus that is close to that of dentin (20 GPa).